A good culture and great teamwork have made the POET Biorefining – Corning in southwest Iowa a top performer and good community partner. It’s a fact. Most ethanol plants – because they’re located in good corn country – are located on pretty flat ground and can be seen for miles. But not the one in Corning, Iowa. And although nearly all ethanol plants are located in rural areas, it doesn’t get much more rural than Adams County, Iowa, population 4,029. Corning, the county seat and the birthplace of Tonight Show icon Johnny Carson, only has about 1,600 residents. 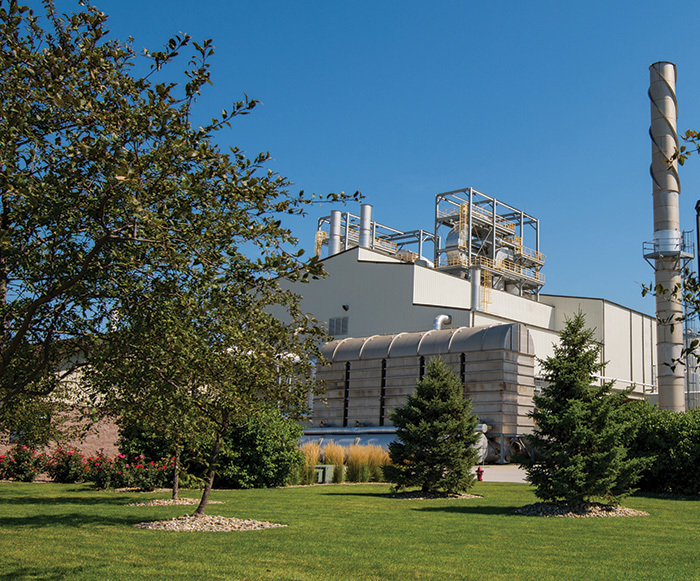 The plant, POET’s twentieth and its seventh in Iowa, opened in May of 2007 and produces 65 million gallons of ethanol per year from 23 million bushels of local corn. And while essentially all of Iowa is great corn country, Adams County – because of its pretty terrain – doesn’t produce quite as much as much as its neighboring counties. “Our draw area is a little bigger than most,” says Olsen. That’s not all that’s unique about the Corning plant. It accesses 40 percent of its water supply from the city’s wastewater treatment plant, providing a significant savings for the city of Corning. (The purified water is used for the plant’s cooling towers only, however – it never comes in contact with any of the actual ethanol manufacturing process). The rest of the water is drawn from two local lakes, making the plant one of the few that doesn’t utilize wells. Olsen became Corning’s GM just a couple of months before it opened, and had the luxury of being able to hire all of his own people. He recalls that there weren’t many people with ethanol experience at the time, but rather he was looking for people who fit the culture he was trying to build. It appears he got it right. That teamwork has resulted in a plant that’s established an outstanding track record for being efficient, attractive, profitable, and safe. 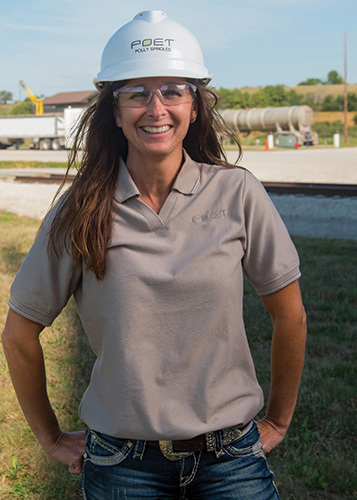 Over the years the plant has received numerous railroad safety awards, and last year were tops in POET’s annual Operations Compliance Review and Environmental Health and Safety Review, which measures a number of key performance factors. The plant and its employees have also been a positive addition to the Corning and Adams County communities. 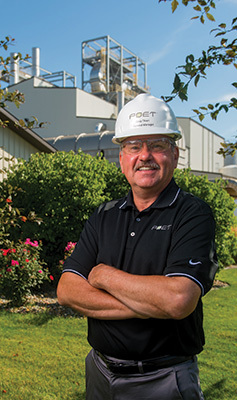 POET Biorefining – Corning GM Greg Olsen says the plant always looks great, and gives much of the credit for setting the tone for the plant’s tiptop appearance to Maintenance Manager Jeff Butler. 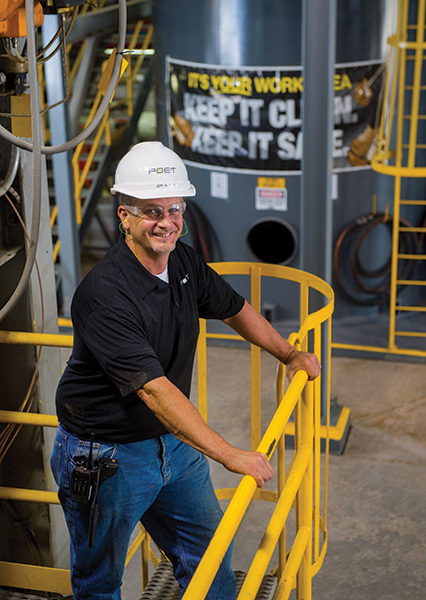 Butler lists other benefits of keeping his plant clean, including improved pride and morale, establishing a business-like atmosphere, fostering good work habits, and even better production. The transplanted Michigander also says he’s found the good life in rural Iowa. “It’s like going back to Mayberry,” he says. Finally a family member encouraged the stay-a-thome mom to apply for a position if she really felt that strongly. So she did. By then it was the last day to turn in applications, and the plant still needed a weigh master. In her interview Sproles, who has an outgoing and friendly nature, was told they were looking for a “nice person” to fill the slot. She got the job. After six years as weigh master, Sproles switched to being a grain buyer. In both positions, she says she loves talking with farmers, truck drivers, and other customers. 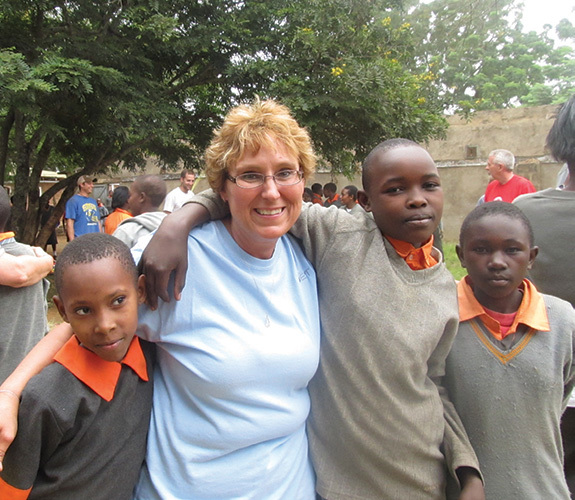 When POET opened up the opportunity for any plant employee to go on a recent mission trip to Kenya, Corning’s Lab Technician Connie Hancock stepped up. But before traveling, mission trip team members had to come up with the funds to make the trip. Hancock’s fellow employees held a silent auction and passed a donation sheet to raise money. In all, they raised more than $2,800, which covered most of Hancock’s trip expenses. So Connie and 17 fellow POET employees and family members made the long trip to help build a greenhouse for an all-girls school in Sultan Hamud, Kenya. Hancock is glad she signed up.